walking desserts and plated desserts. and allows to extract from the mold the subjects easily without deforming them. of the compounds in the blast chiller are provided. 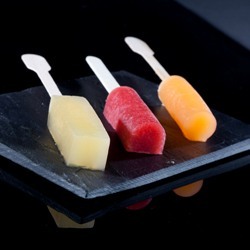 and many other compounds in snack version on a stick. 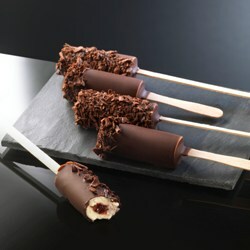 simple or covered with chocolate and decorated. Sugar or honey Crunch with nuts or seeds. Jellies fruit glazed with chocolate or coated with crystalline sugar. 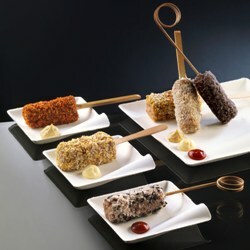 Snacks uncooked or cooked on a stick ideal for buffet service. 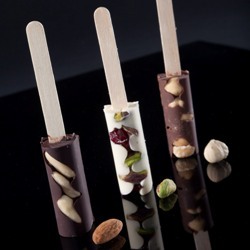 Nice preparations on a stick for children’s menu suggestions . 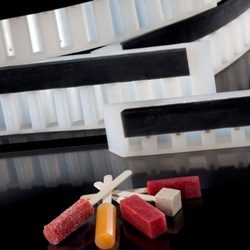 TECHNOLOGY: materials used for these moulds combine flexibility and stability, they guarantee the best performance in the different phases of processing. of the mold intuitive and quick for any operator. popsicle sticks to sticks with particular shapes. as a complement or decoration.